Regular Modifier Price. When the number of selected modifiers are less than Maximum quantity for that group. Extra Modifiers Price. Price of a modifier when it exceeds the Max. 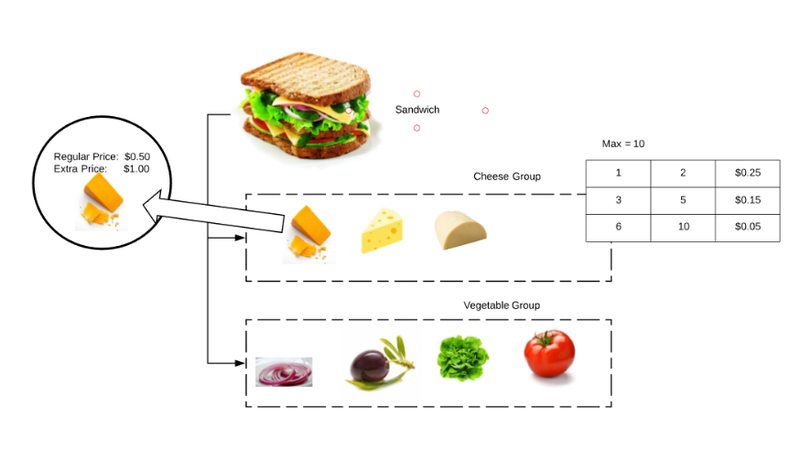 In this example, if Max quantity of “Cheese group” is 2. Then for the first 2 slices of cheddar cheese will be $0.50. The third cheese will be $1.00. 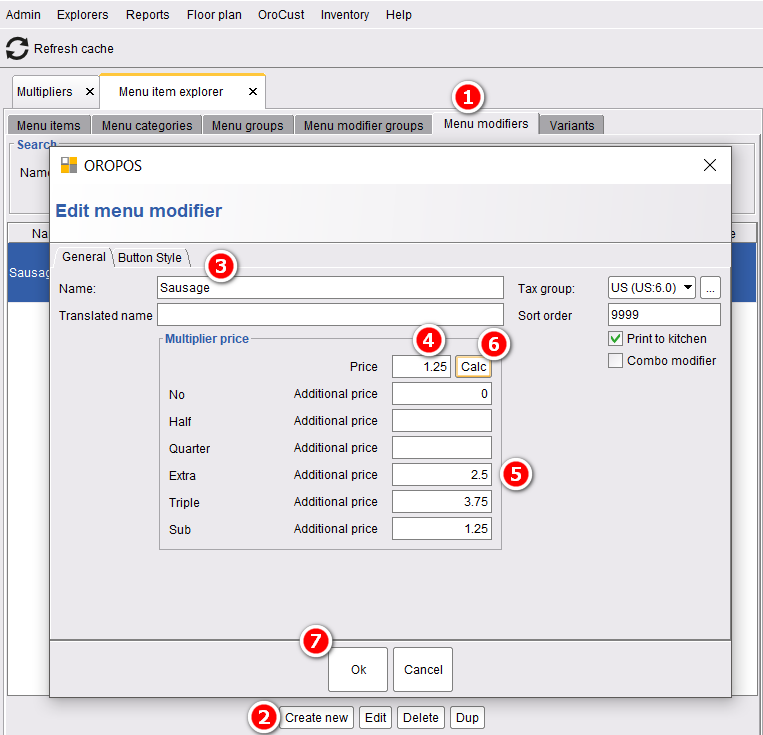 In the latest version of ORO POS ( 1.4 build 138.6), stores can set a flat price for modifiers in a group. It can also apply price slabs by quantity. 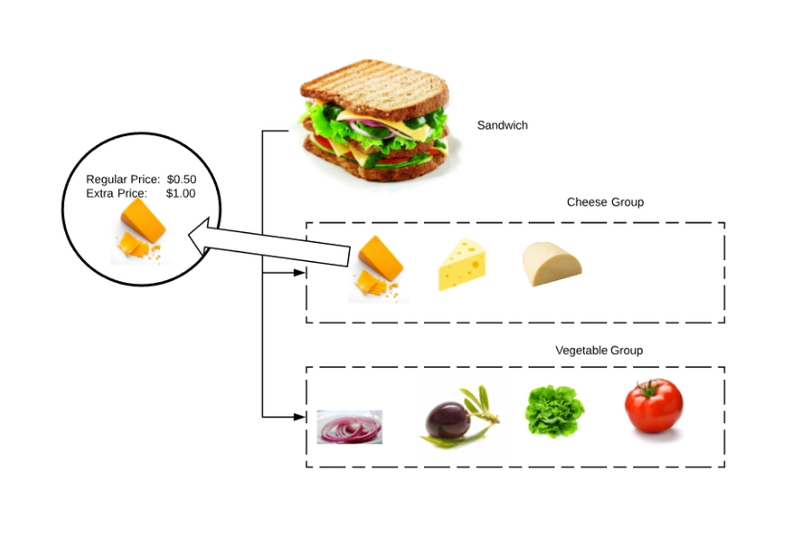 In the following example for 1-2 cheese it will charge $0.25, and then for 6 to 10 items, they will go down to $0.05. 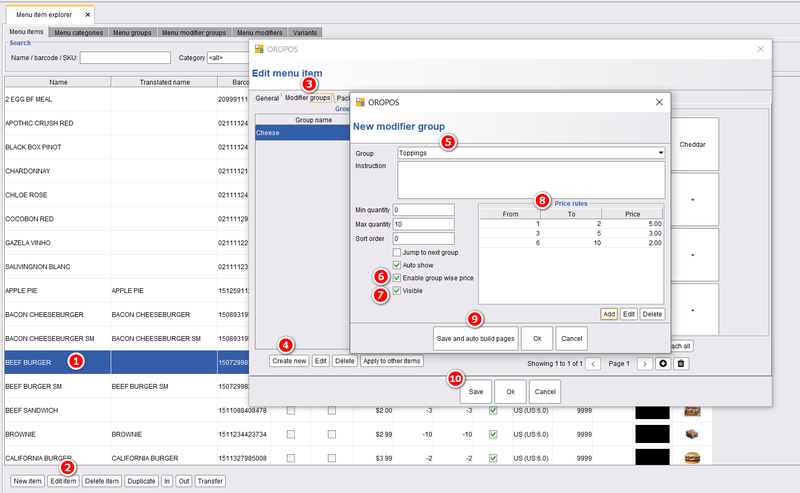 To add price by modifiers group, Go to back office→ explorers and edit an item. 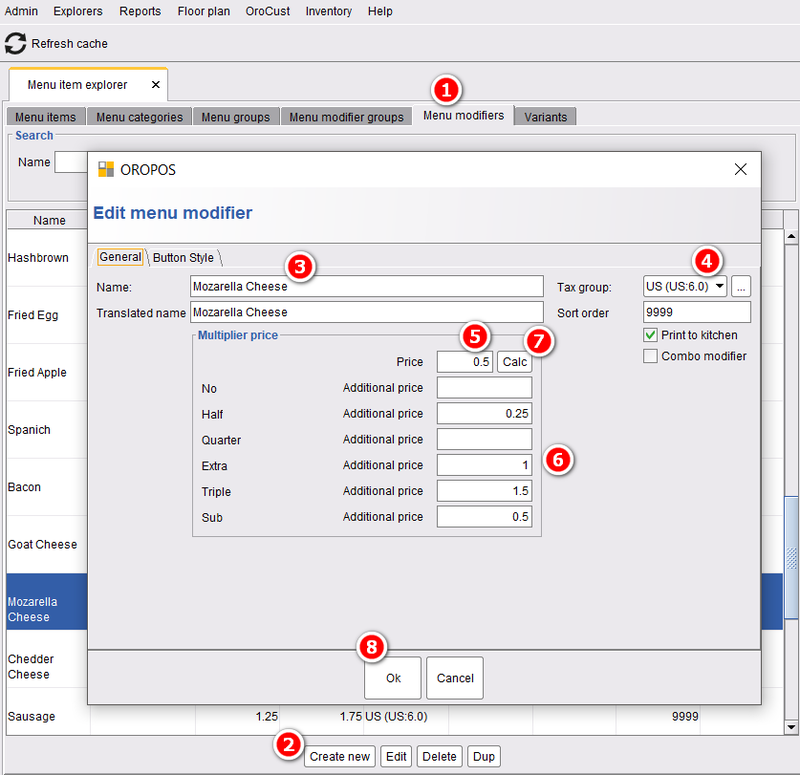 Then we need to add modifier groups and set minimum maximum quantity and enable group wise price settings. We can also set price rule by ranges as shown in the picture. While taking an order, if the number of modifiers exceeds the maximum limit it will switch to the Extra modifier price. 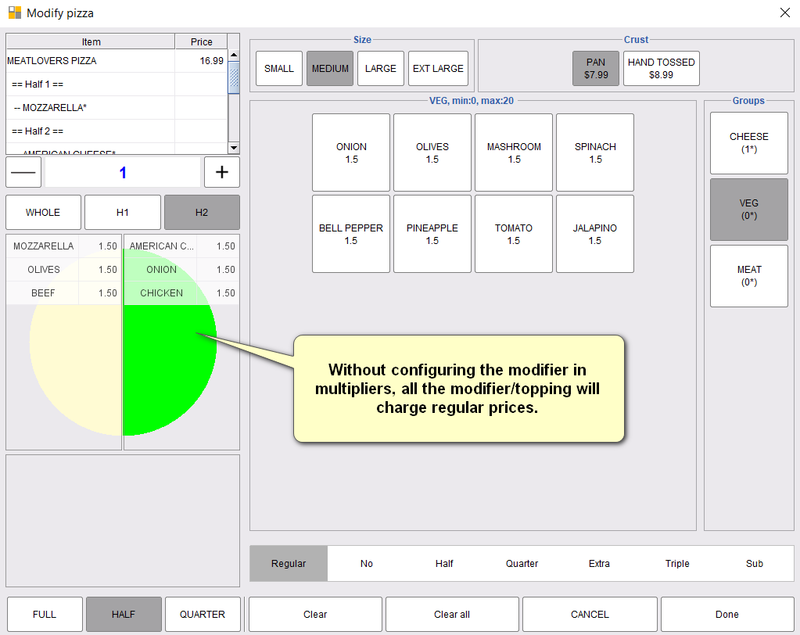 In this example when more than 10 ( Max) modifiers are selected, POS will prompt for the price change. Modifiers extra price always depends on the price set in the “Extra” column of each modifier. You can generate this price automatically with the help of your multipliers rules. 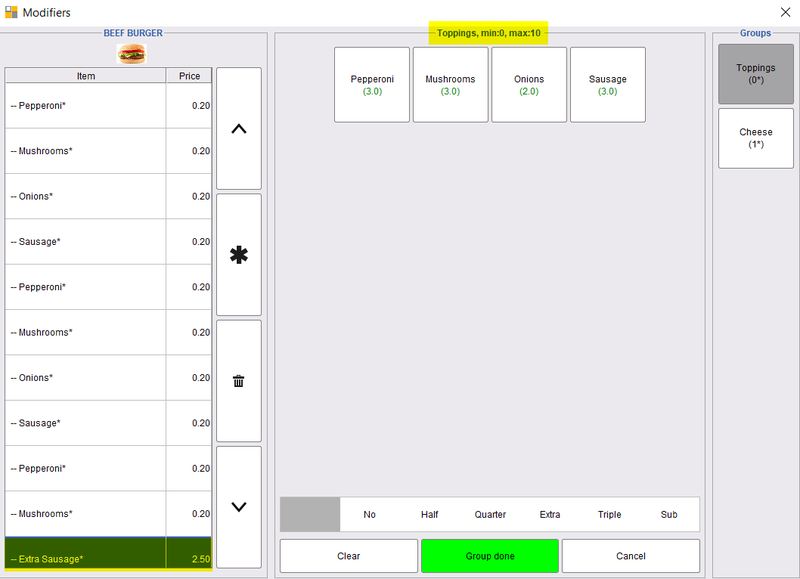 By clicking on the “calc” button will calculate the regular price with the multipliers rules. Please check the multipliers section to know more about the multipliers rules. When a store has a lot of modifiers, this may be difficult to set price for different modifiers. In stead of that stores can add % based rules, so that it can create multiple prices from the default modifier price. For an instance, if a whole regular price is $2.00. Stores can add prices for half, quarter, extra and triple $10, $50, $4.00 and $6.00 respectively. In case of multipliers, default price is considers as 100% and other prices can be 200% or 50%. 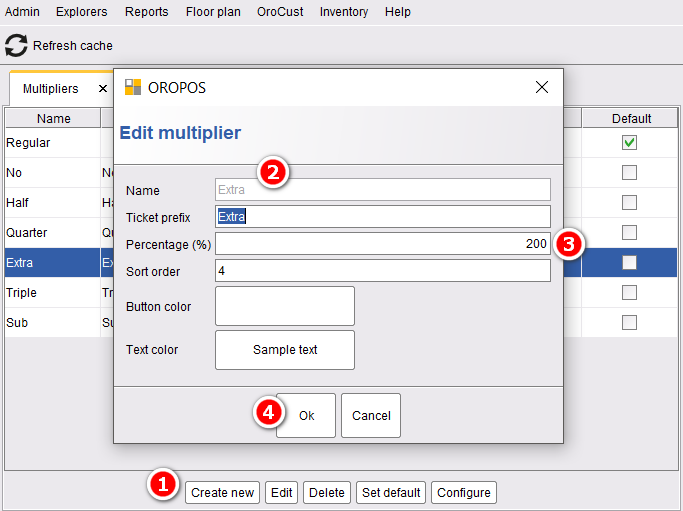 To add a multiplier go to the back office→ explorer→ multipliers→ create new→ name your multiplier→ set the percentage→ press ok to save. 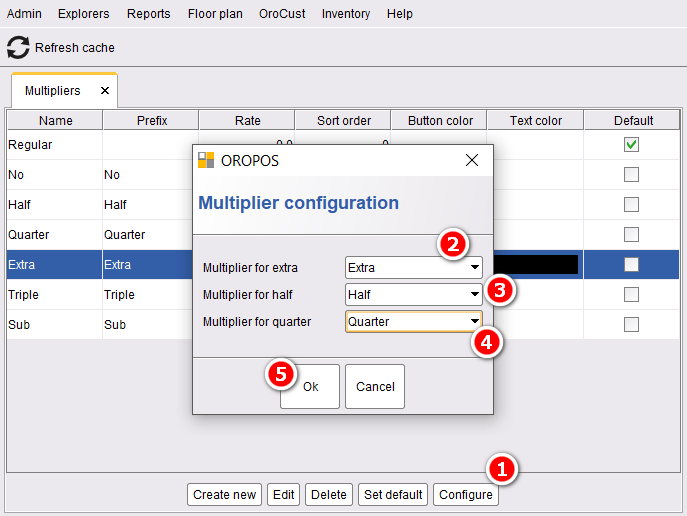 To configure the multiplier configuration, go to back office→explorers→multipliers→configure–> select the multipliers of choice→ press ok to save. 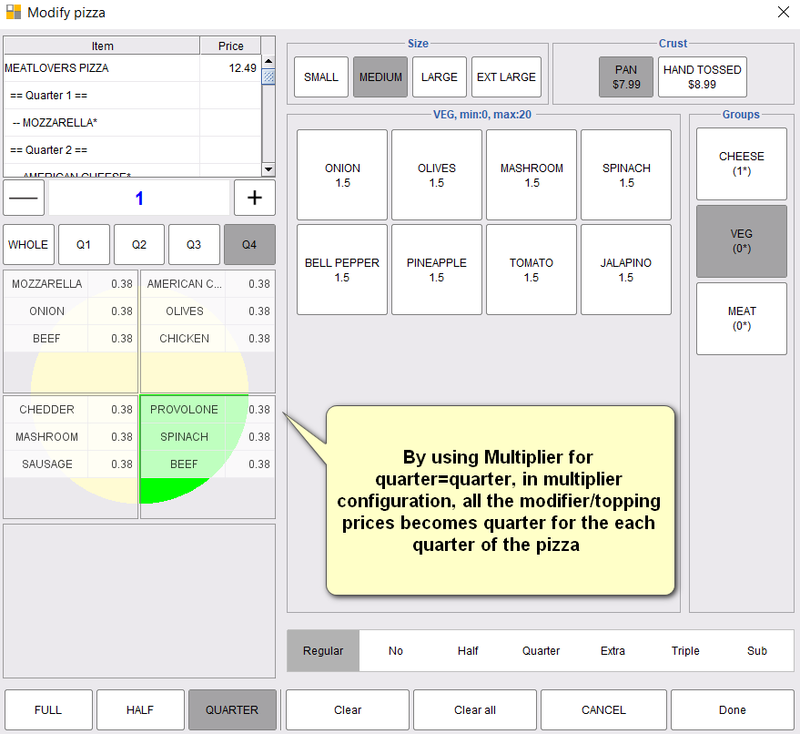 There are more price settings for Pizza. Pizza modifiers/toppings are priced same way as regular item. There are additional options for modifier price on sections. Charge based on section size. 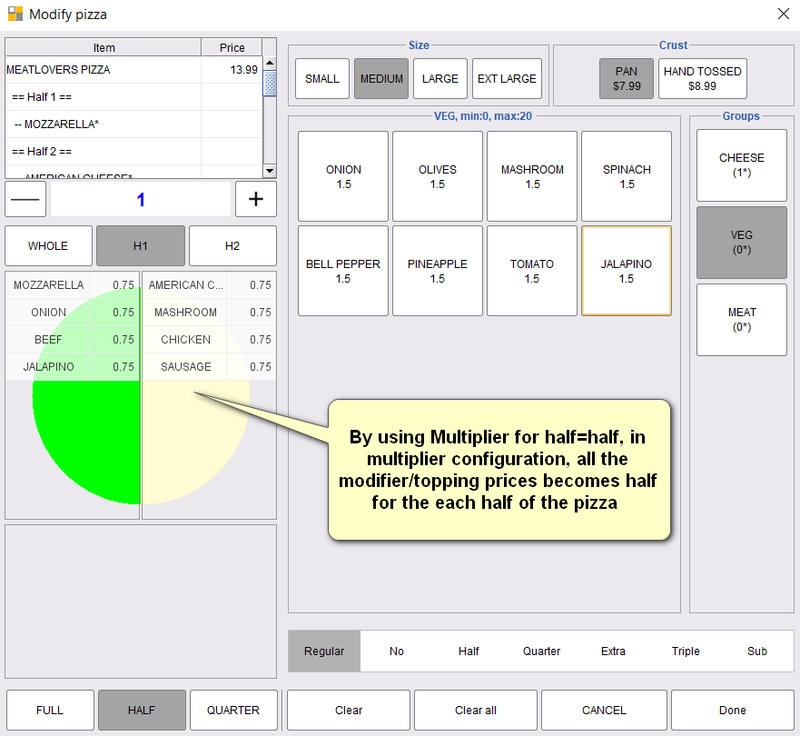 Stores will configure half and quarter price in multipliers.